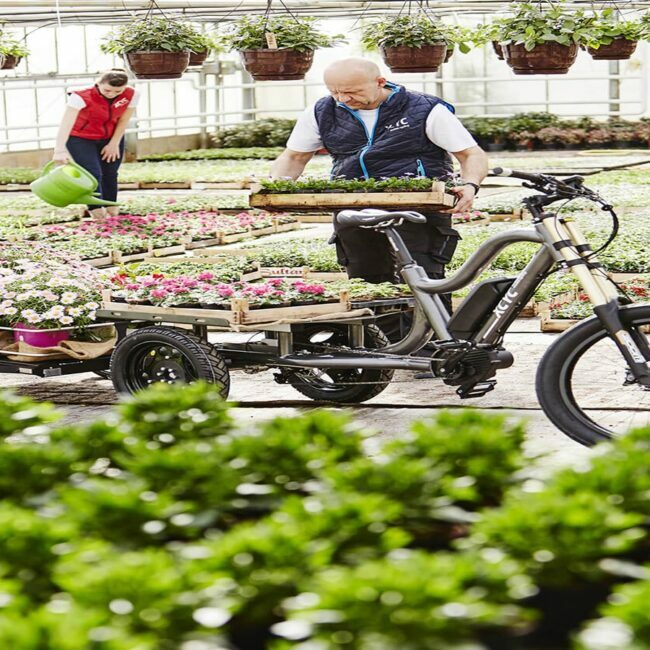 The first eBike in the world with a combination of integrated battery and Pinion gearbox. 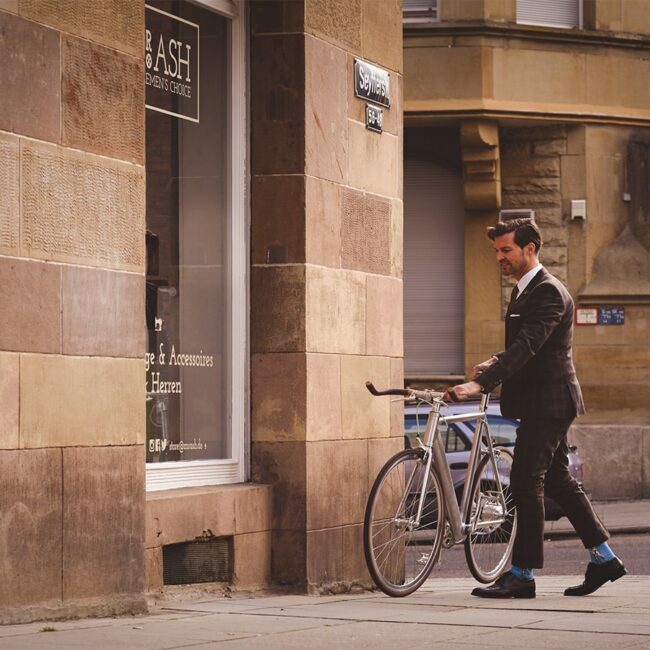 This is a premium class bike engineered to be stylish. 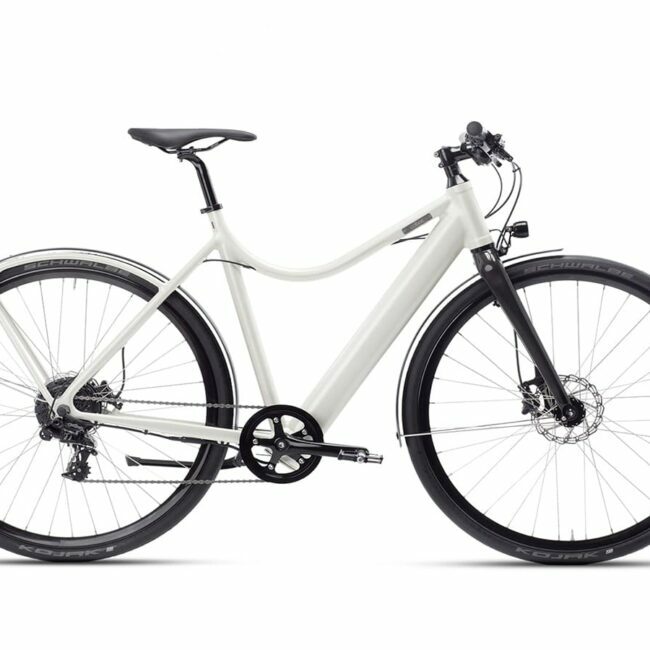 The Desiknio Pinion Classic is the first eBike in the world with a combination of integrated battery and Pinion gearbox. 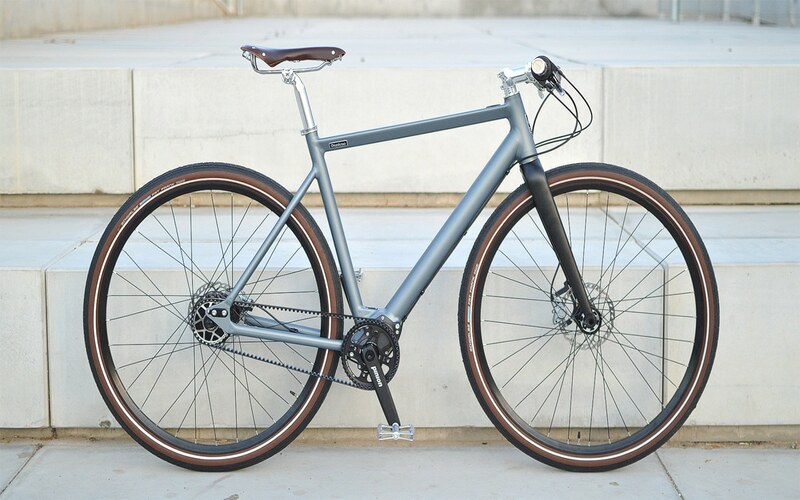 This is a premium class bike engineered to be stylish. 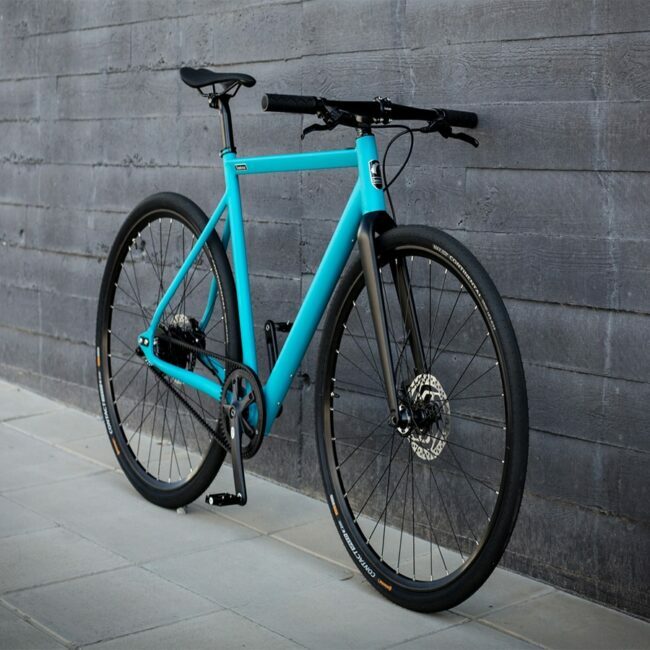 It has an integrated eBike System, handcrafted frame, CNC sliding dropouts, tapered head tube, integrated charging connector, carbon fork and hand-built wheels. 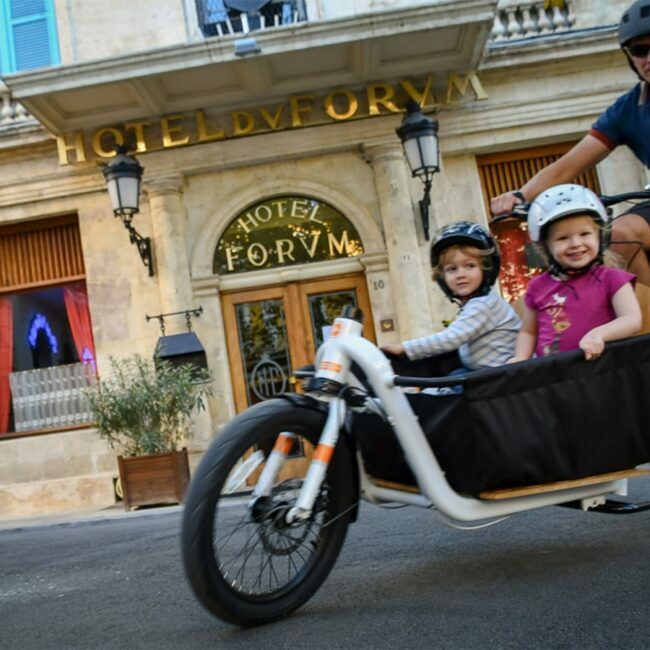 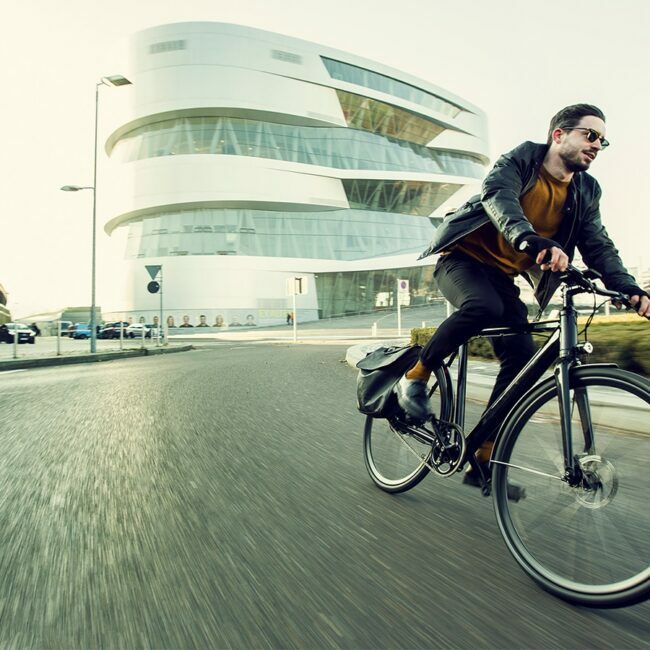 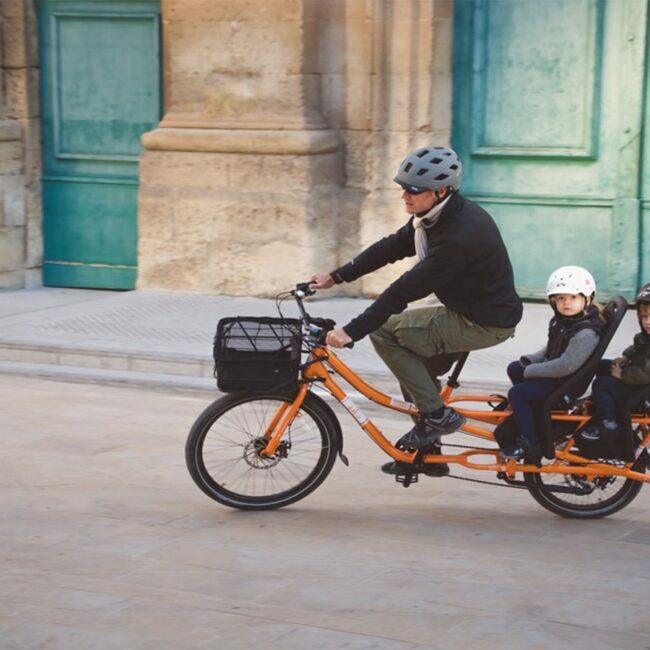 An urban & tourer eBike equipped with all you need for your daily commuting and beyond. 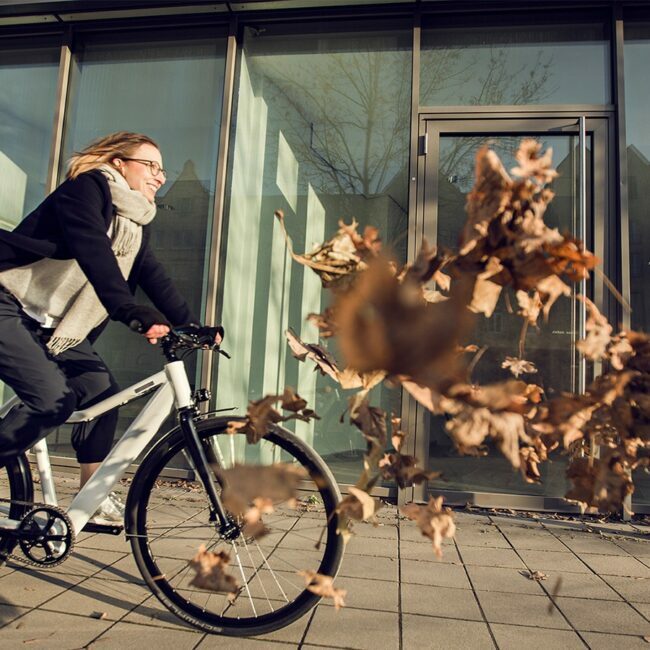 Desiknio’s combination of fully integrated, lightweight eBike system and central gearbox, has a Patent granted for Desiknio by the Spanish Patent and Trademark Office (SPTO), with scope of application for the European member states party to the European Patent Convention. 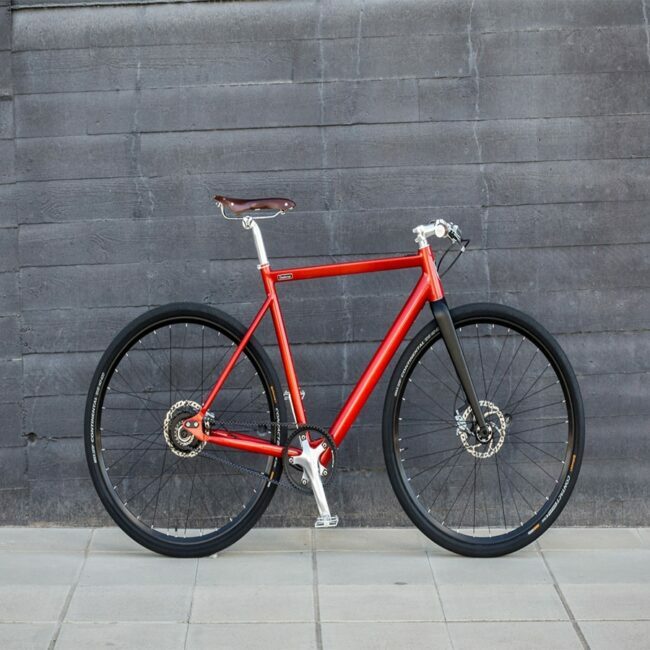 The Carbon Belt Drive is completely clean and quiet. 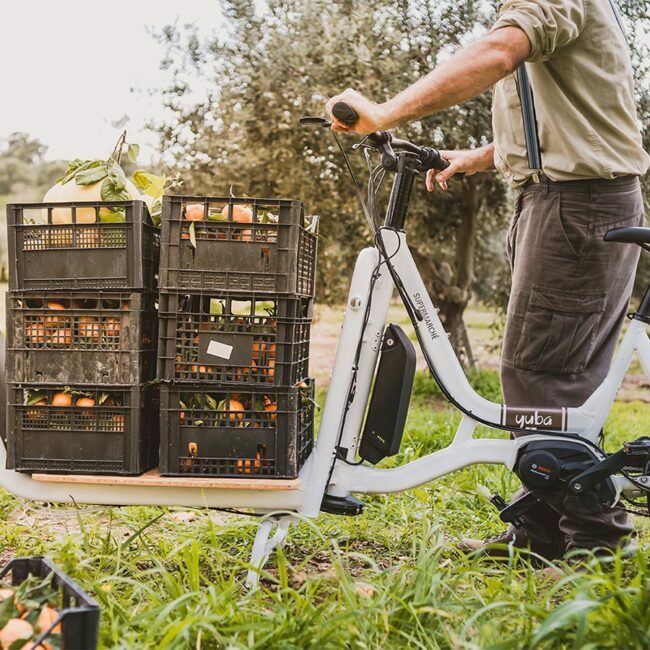 No oil lubrication required. 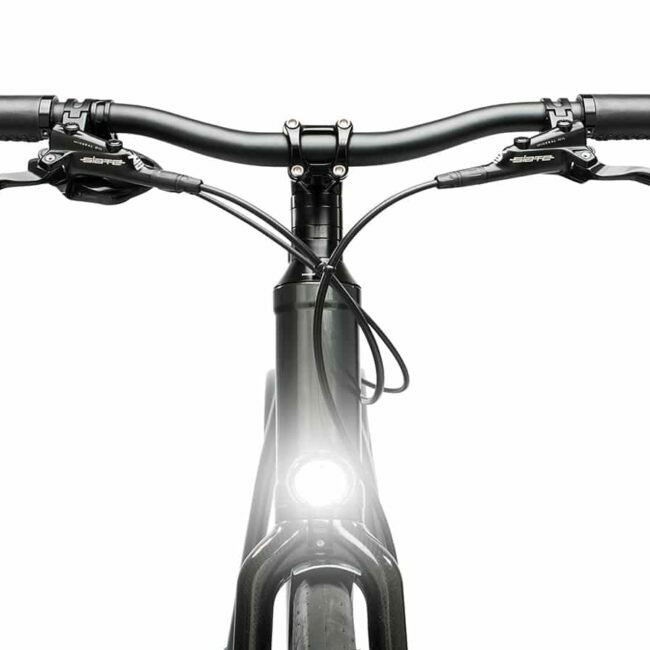 The electric motor power goes straightaway to the rear wheel, the human power to the drivetrain for the smoothest solution possible. 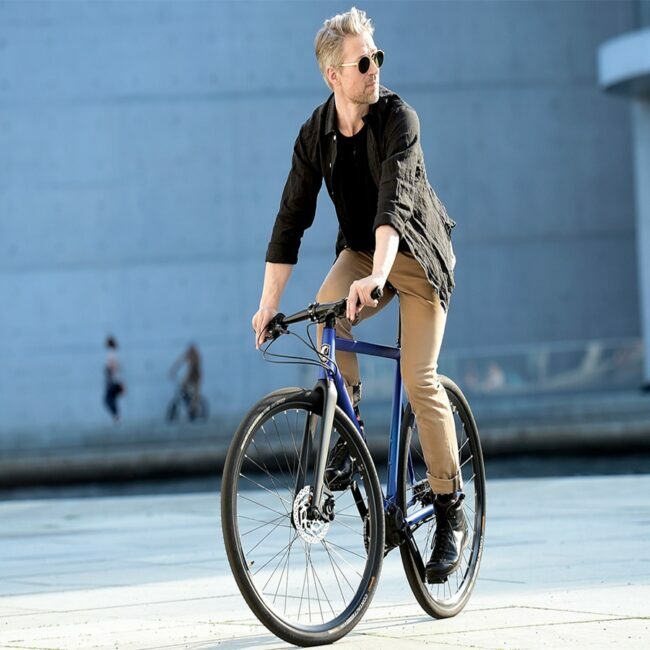 Every bike component has been carefully selected to guarantee the highest quality, such as Brooks genuine leather saddle & grips, Ritchey polished aluminum parts, Shimano classic hydraulic brakes, DT Swiss rims. 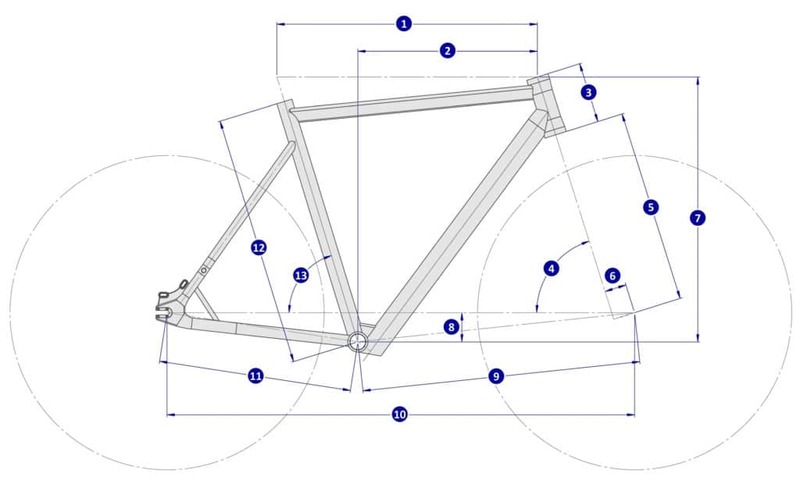 Every bike takes approximately 50 hours to assemble from the first frame construction steps to the final components. 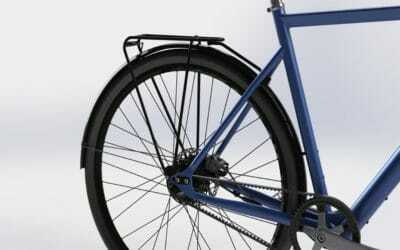 Choose your own colour from a selection of quality powder coated paint, metallic finishing, matte or glossy colours.